Intuit has been getting attention lately. An announcement made in August regarding a change in Intuit leadership caught the world by surprise. Incumbent Chairman and CEO, Brad Smith, will step down the end of December 2018. The torch is being handed off to Sasan Goodarzi, currently leading Intuit’s Small Business and Self-Employed Group. It’s a bold move, and it comes at a time when Intuit’s future looks very bright. This leads to the obvious question for most investors– why is Brad Smith leaving now? 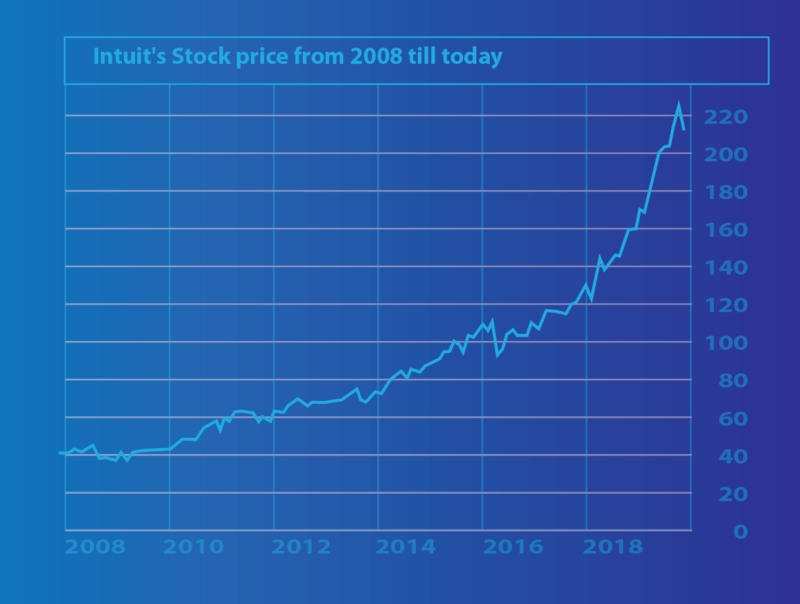 Intuit has always put innovation and self-disruption at the heart of their business, and it’s paid off with nearly 35 years of success. Let’s look at what Brad Smith has accomplished during his tenure. He is leaving the CEO post on a high note. Revenue has doubled to almost $6 billion annually and the stock price has increased nearly 600% since he took over in 2008. To put this in perspective, during the same time period, the Nasdaq rose 230% and the S&P 110%. Moreover, Intuit has earned kudos via Fortune 100 Best Companies to Work For, People Magazine’s 50 Companies That Care and Forbes America’s Best Employers for Diversity. In fact, in each of Brad Smith’s years at the helm, the company has been featured on the Fortune list. Intuit’s leadership is clearly already strong. 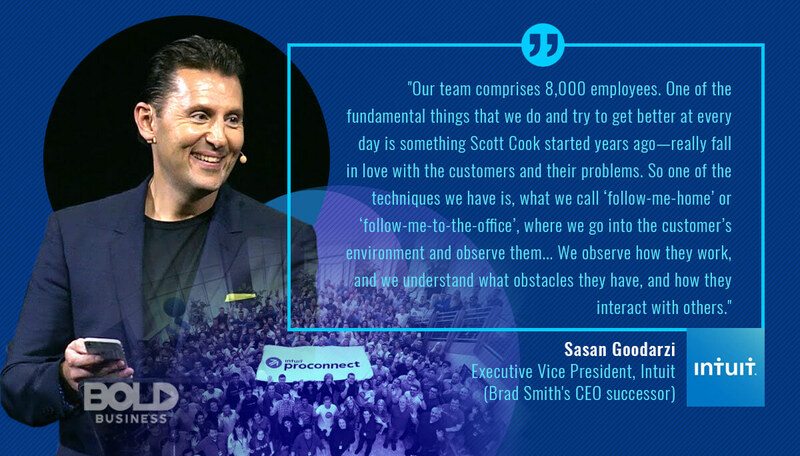 However, Sasan Goodarzi definitely has big shoes to fill as he follows one of Silicon Valley’s most respected leaders. Intuit was co-founded by Scott Cook and Tom Proulx in 1983. Their meeting was a serendipitous occasion. Cook went to Stanford with a stack of fliers looking to recruit programmers, and he asked Proulx for a good spot to post them. This led to Cook explaining the project he had in mind. He was looking for a way to automate the day-to-day financial tasks every household has, like paying bills, balancing a checkbook, and tracking spending. Proulx was a senior at Stanford Univerity. Inspired by Steve Jobs, he was looking to develop an application that could be mass-marketed to millions. The rest, as they say, is history. Intuit’s products have had major positive business impacts on society in automating how bookkeeping and tax preparation are accomplished for millions. Intuit is approaching its 35th year. Meanwhile, its peers from 1983 — Flexidraw and VisiCalc — are long gone. Though older than most tech companies in Silicon Valley, Intuit is at the top of its game. Despite the recently announced change in leadership, analysts predict the company’s positive growth to continue. Why is Intuit thriving? The answer lies in its founding story – one of constant self-reinvention. A new CEO while a company is at the top of its game may raise a few eyebrows, but Intuit leadership is confident in the change. During Intuit’s early years, the personal computer was used by just a handful of people for fairly complicated tasks. But Intuit leadership found a way to use computers to solve the problems of everyday people. It was an innovative idea during a time when software and operating platforms weren’t designed with the Average Joe in mind. This kind of self-aimed disruption is in Intuit’s DNA. Since those early days, Intuit leadership has remained committed to re-inventing itself unceasingly before their rivals do, or a new kid on the block disrupts the Intuit business. They are constantly asking how their products can answer the ever-changing needs of consumers. This is one of their primary keys to ensuring the Intuit business thrives and does not turn into a dying business model. When the DOS operating system was phased out, Intuit was quick to reformat Quicken personal finance software to match the Windows OS. During the early days of the web in the 90s, QuickBooks products and TurboTax had to be redesigned. Under Smith’s leadership, the company re-invented itself yet again. Under his bold leadership, he transformed the company from a product company to a platform led company that sells its services via cloud computing. Intuit is doing it again, disrupting itself from being strictly a product- and service provider to a cloud-based open-platform host. The decision to embrace outside app developers, merchants’ apps, and potential competitors in an online ecosystem was a wager to strengthen customer loyalty. It was a risk that Intuit was glad it took. A year into the implementation of the One Intuit Ecosystem Strategy, the online ecosystem revenue was 40%. This was higher than the company’s internal goal of 30%. The open platform now offers about 1,400 apps. Intuit has also created a network of 600,000 accountants who can be matched and linked with QuickBooks products users. Recently, Intuit leadership realigned its Cloud Strategy by selling its largest data center to H5 Data Centers, moving away from owning hosting platforms and migrating its services to the public cloud. While Smith’s departure came as a surprise, his successor was the likely choice for the Intuit Business. 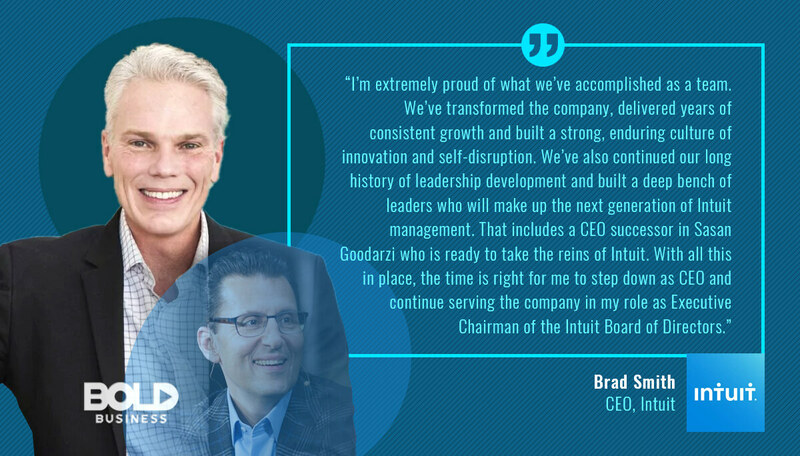 Goodarzi joined the company 13 years ago and has held various senior leadership positions in the ProTax division, Intuit Financial Services, and Turbo Tax. This was before being appointed to EVP for Small Business and Self-Employed Group. This is Intuit’s largest and fastest-growing division. It targets SMBs with QuickBooks products as well as other online products. “Sasan is better prepared to be CEO than I was 11 years ago,” says Brad Smith. Goodarzi was also the key architect of the One Intuit Ecosystem Strategy. Additionally, his solid understanding of Intuit’s business and self-disruptive culture makes him the best candidate to step into Smith’s shoes. 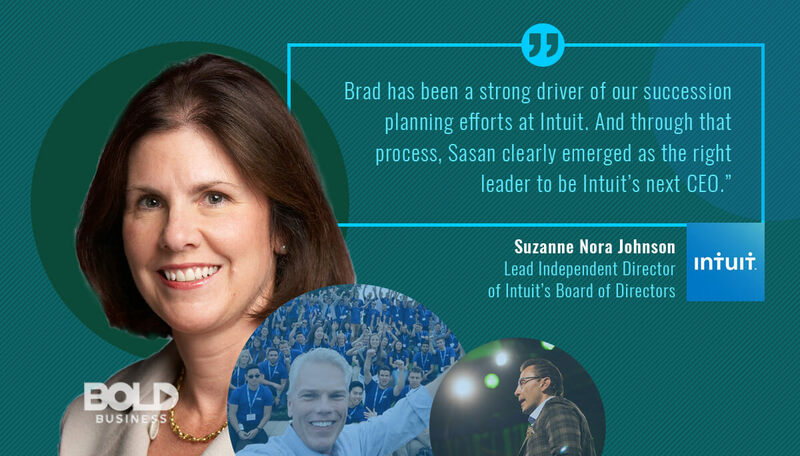 Intuit leadership has been consistent in maintaining the company’s focus on innovation and self-disruption. Sasan’s focus will likely be on expanding the company’s international presence. The Intuit business is currently well known and in high regard in the United States, Australia, Canada, and the U.K. 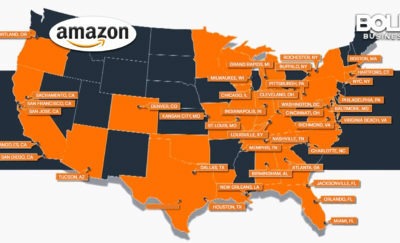 However, it lacks a global presence beyond these countries. Additionally, this lack of presence is allowing some new players to prosper in these global markets. These markets represent a major growth opportunity in the future and thus are a major threat to the Intuit business. It certainly helps that Goodarzi was born overseas in Tehran and will bring a global market perspective to the job. As one of the oldest tech companies in Silicon Valley, Intuit’s business has been about their ability to self-disrupt before the need arises. While others have grown complacent and withered on the vine, they’ve fostered a culture of innovation. By defining themselves through disruption and reinvention, Inuit has secured for themselves a future that’s both bright and bold.